Aggressive reading performance at an aggressive price – that is important in a barcode scanner. 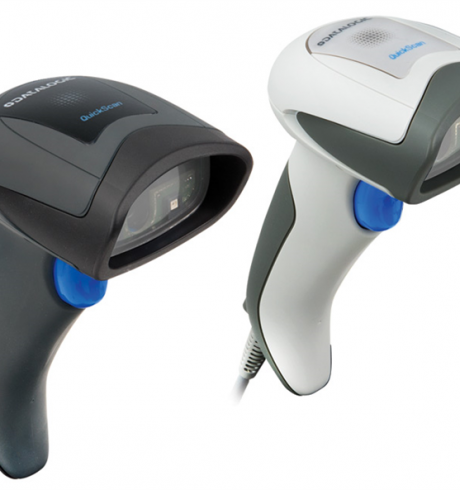 The Datalogic QuickScan QD2400 is a handheld area imager which quickly and omni-directionally reads nearly all common 1D and 2D barcodes. This makes the device particularly interesting for those wish to or must switch over to 2D barcodes – but whose budget for it is limited. The QuickScan QD2400 impresses with its high degree of motion tolerance and its flexible reading distance. From document tracking in public facilities, as well as at the checkout – but especially in retail – it unfolds its full potential. It also reliably decodes 2D barcodes from mobile devices, which makes it an ideal alternative for coupon applications and mobile marketing. Thanks to its sophisticated lighting system with its dark red light, together with the highly visible blue LED target marks, scanning is made easier and faster for the user. Its patented »Green Spot« good scan confirmation rounds out an efficient scanning process. The imager technology additionally ensures for the longevity of the scanner.